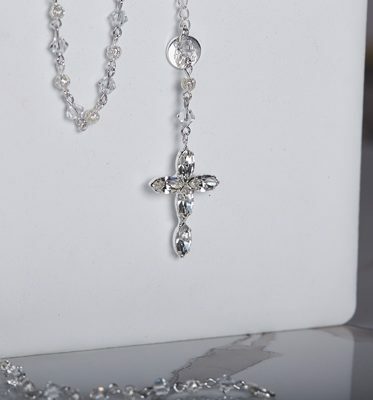 Wear your faith, we offer this long deluxe bridal rosary bracelet. 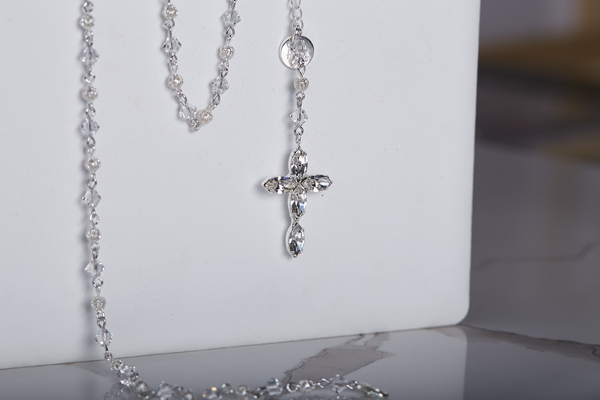 Not only a symbol of religious belief it is also an attractive accessory to add to any wedding outfit. 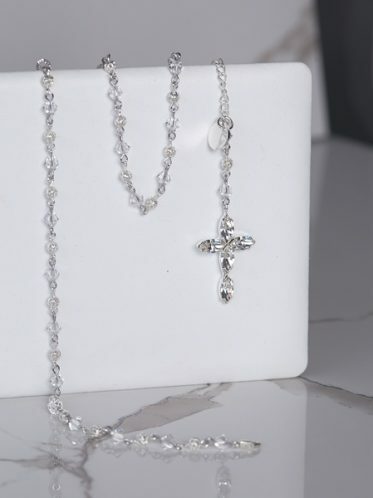 The piece is made of clear crystals and filigree to produce a beautiful, bright rosary featuring a crystal cross. Wrapped three times around the wrist and worn around the wrist as a bracelet or held throughout the ceremony as a long rosary, this piece of jewellery is beautiful as it is meaningful. Wear for your self or gift this sparkling piece to your daughter, daughter in law or friend. What a lovely token of your friendship that will mean so much in future years. You may also like our simpler Single rosary bracelet. Wear with a hair vine and a pair of simple earrings and you will be looking so chic. Priced at $119.00 click Here to purchase online.